Gathering in large groups throughout the sagebrush every spring, the sage grouse offers a showy display for those committed enough to rise before dawn. BILLINGS, Mont. — A pair of lawsuits filed Monday target the Trump administration’s sale of oil and gas leases on huge swaths of Western public lands that contain crucial habitat for greater sage-grouse. Wildlife advocates asked courts to reverse lease sales on more than 1,300 square miles of land in Montana, Wyoming, Utah and Nevada, according to attorneys involved. The legal actions also sought to block several upcoming sales unless the U.S. Interior Department conducts further environmental reviews. Those leases would total more than 1,800 square miles in the four states plus Idaho. Many of the parcels in dispute are home to greater sage-grouse, a chicken-sized, ground-dwelling bird that ranges across portions of 11 Western states. 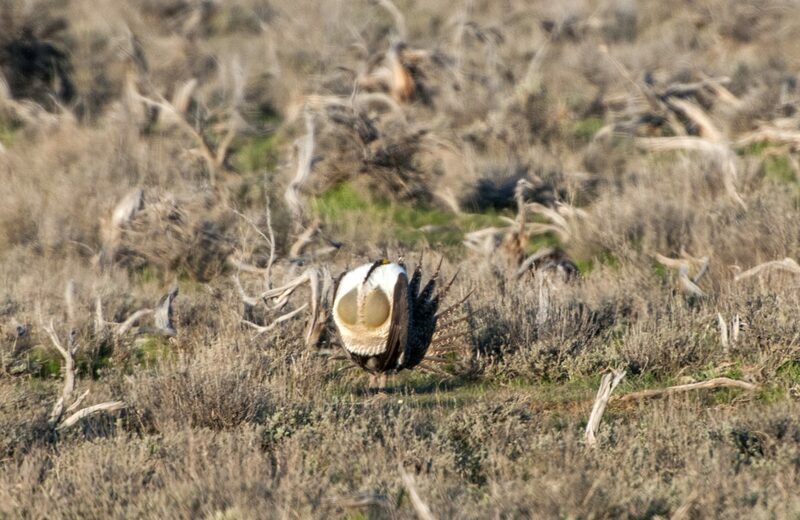 Greater sage-grouse populations drastically declined in recent decades, because of energy development that broke up the bird’s habitat, along with disease, livestock grazing and other causes. Its population once numbered in the millions but had fallen to fewer than 500,000 by 2015, according to wildlife officials. Under former President Barack Obama, the Interior Department delayed lease sales on millions of acres of public lands largely because of sage grouse worries. In 2015, it adopted a set of wide-ranging plans meant to protect the best grouse habitat and keep the bird off the endangered species list. Trump’s Interior secretary, Ryan Zinke, has placed a greater priority on energy development, including directives from the agency that modified restrictions imposed by the Obama administration. Attorneys behind Monday’s lawsuits argued those modifications were improper and that Zinke’s agency unlawfully limited environmental reviews of lease sales. Justice Department spokesman Wyn Hornbuckle declined to comment on the matter. Energy industry representatives have been strongly supportive of Zinke’s pro-energy agenda. They point out that even when land is leased for drilling, companies must abide by limitations on when they can drill to avoid disrupting grouse during the breeding season. “We realize there are some hoops we’re going to have to jump through if we’re going to develop the resource,” said Alan Olson, executive director of the Montana Petroleum Association. Monday’s lawsuits included one in Idaho filed by Center for Biological Diversity and Western Watersheds Project, and another in Montana by the Montana Wildlife Federation, The Wilderness Society, National Audubon Society and National Wildlife Federation. Also Monday, environmentalists agreed to a truce in the third lawsuit over protections for the Gunnison sage grouse, a smaller cousin of the greater sage-grouse. The Gunnison grouse, found only in Colorado and Utah, was designated a threatened species in 2014. Center for Biological Diversity and Western Watersheds Project sued the federal government the next year, saying the Gunnison grouse should be classified endangered, meaning it is in greater danger and warrants stronger protections than a threatened species. The two groups said they would put the lawsuit on hold after federal officials agreed to come up with a recovery plan for the bird within 2½ years. The deadline guarantees the recovery plan won’t drag out for years, the groups said. They could resume their lawsuit if the government misses the deadline, or if they are unhappy with the recovery plan. Only about 5,000 Gunnison sage-grouse were left in 2014. 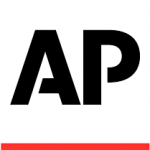 Associated Press writer Dan Elliott contributed to this story from Denver.